When you are organising any party or event, you always look for ways and means of making it fun and try to add something unique to it – and one way of doing that is to get Slushie Machine Hire in Sydney. It’s a superb way to serve drinks and it’s far more exciting than the standard beer and drinks. You can serve different types of cocktails at your event and operating the machine is extremely simple too. You just have to pull down the handle on the machine and your instantaneous frozen cocktails are ready to be served. 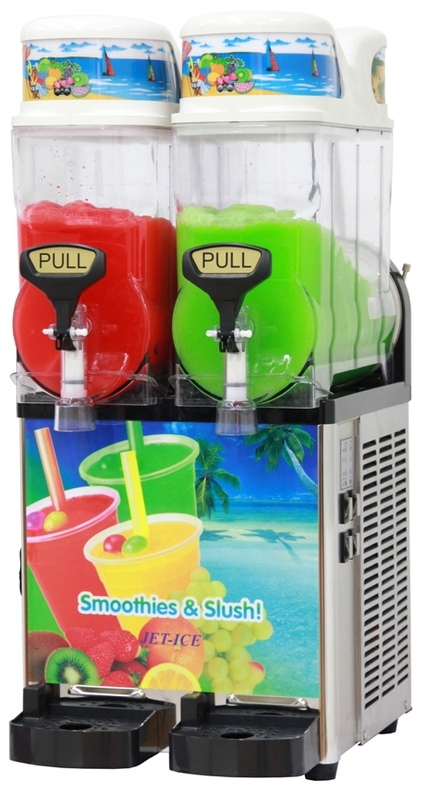 We at Jump2U have seen a significant rise in the demand for Slushie Machine Hire in Sydney and that’s primarily because catering becomes far easier when you have this cocktail-making machine on hand. It’s a time saver and you don’t have to manually make every single cocktail (which can be a huge challenge when you have a large number of guests at your party/event). A double bowl machine can easily serve up to 120 drinks. We provide strong and sturdy machines that work smoothly and you can choose from various fully-inclusive packages. We can provide all the things you require to make delicious frozen cocktails/slushies at your event. Regardless of whether you have a small private party, a kid’s party or are organising a large-scale event, we can design a package that suits your requirement. We also have single/double/triple bowl machines you can choose from and this means you get just the solutions you need at the best prices. Our personnel will come over to your location and set up the machine- they will pour in the desired mix & adjust the machine settings- the only things you need to organise for are a sturdy table and a powerpoint- it’s as simple as that!! For the best Slushie Machine Hire in Sydney, contact us today at either of these numbers- 0410 446 841 / 1300 586728. You can write in via this Contact Us form too. Just send across your queries or requirements, and our representative will get back to you shortly.